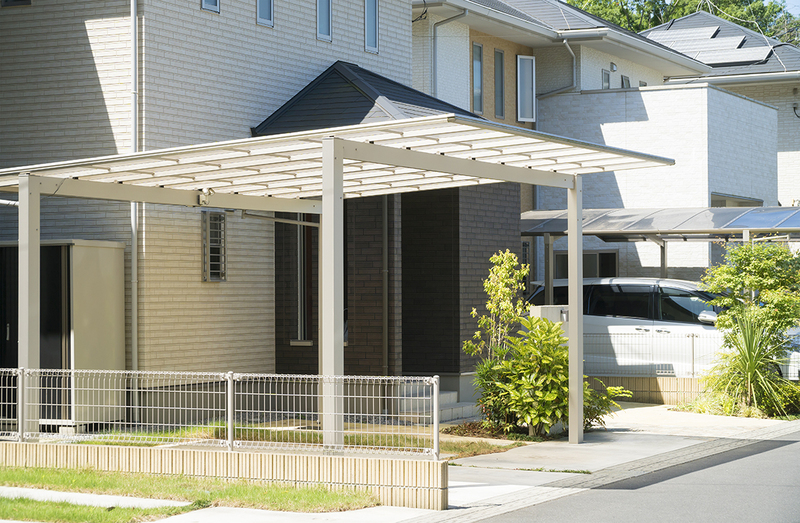 Which carport is perfect for you? Your car deserves the best care possible from you. It serves you pretty well after all. The greatest gift you can give your car is protection from the elements. You wouldn’t want your car to be left out in the sun, rain, storms or worse would you? A cost effective way of protecting your car from the wrath of the elements is getting a carport for it, while adding value to your home. But, there are quite a few different types of carports available on the market. Making a choice can often be a daunting task. MTB Carpentry and Construction has broken down the different types of carports for your convenience. This is a really simple design, but it does the job well and can look great if designed right. The roof has a one directional pitch or slope. This is typically 3 degrees or 5 degrees, depending on the sort of roof sheet used. This is the simplest carport you can have, it’s basically a roof over your car. This is a carport with a pitched roof on two sides. A regular roof pitch is usually 15 degrees, but other variations like as 10 degrees, 20 degrees and 26 degrees are also possible. These carports have a 4 sided pitched roof. This resembles most houses that are built today. The most common roof pitch for these carports is 20 degrees. Made from a canvas canopy, these carports are more of a temporary solution. They’re great for short periods of time but will weather away if you use them for too long. No matter which one of these you pick, you can rest assured that MTB Carpentry and Construction has the best team on the Gold Coast to install your carport. So, pick up your phone and call, MTB Carpentry and Construction and we will be more than happy to help you out with whatever it is that you may find yourself in need of. Bathroom tiles- Which type do you need?